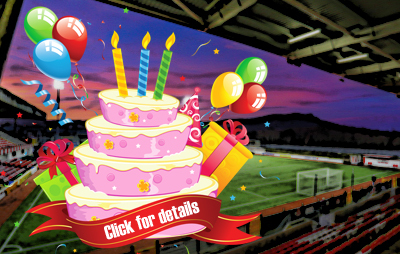 Cliftonville Football Development Centre are delighted to announce an exciting partnership with St Malachy’s Old Boys Youth. 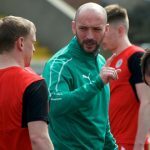 The affiliation will see both Clubs working together to develop young players to the best of their potential, with talents in the St Malachy’s structure being afforded a formal opportunity to progress into the Irish League with the Reds. Head of Youth Development Marc Smyth said: “I’m delighted with this partnership. We hope to work with St Malachy’s, sharing the Club’s vision and philosophies and working together on coach education programmes and with players. “We also will host St Malachy’s at numerous first team games throughout the year with young players from both sides playing on the pitch at half-time. “The most important part of the partnership is the player pathway. 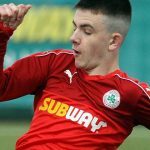 From Under 12 up, players who are excelling at St Malachy’s will be offered the chance to join Cliftonville, with both Clubs hoping to develop young players to reach their full potential and play Irish League football. “I’m personally delighted with the attitudes and vision of Gary Vernon, David Pimley and Sean Davey along with everyone else involved at St Malachy’s. Their only interest is the development of young players, which so refreshing to see and it’s no surprise their Club is going from strength to strength. Gary Vernon, Chairman of St Malachy’s OB Youth, explained: “The two Clubs have been talking about this for the last few months and we are delighted to have come to this arrangement. “We as a Club have only been going for three years and to get a partnership like this is great testament to all the hard work going on at St Malachy’s. St Malachy’s OB Youth Head of Youth Development, David Pimley, added: “This is a big, positive step forward for our Club and will give our kids the opportunity to play at the highest level here in the north of the city.